WASHINGTON – (RealEstateRama) — When it comes to the buying and selling of commercial real estate—a multi-step process that involves high stakes and numerous stakeholders—the energy performance of buildings is not usually top of mind. 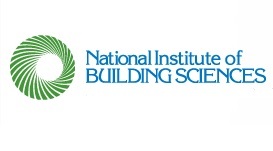 An upcoming webinar by the National Institute of Building Sciences Council on Finance, Insurance and Real Estate (CFIRE) could bring the topic into higher focus. The webinar, Energy in Commercial Appraisals and Mortgages: Risk or Reward?, scheduled for 1:00 pm – 2:00 pm ET, Thursday, September 28, 2017, will highlight an effort by the U.S. Department of Energy to put energy performance on the lending table. In current mortgage and appraisal practices, lenders generally do not consider energy use a motivating factor and do not fully account the risks and opportunities associated with energy use of buildings during valuation. Following a scoping study and stakeholder engagements with lenders and building owners, DOE’s Lawrence Berkeley National Lab and the University of California-Berkeley Haas School of Business have identified several potential interventions to properly account for energy factors in the lending process. During the hour-long webinar, moderator Ryan M. Colker of the National Institute of Building Sciences and presenters Paul Mathew, Lawrence Berkeley National Lab; Nancy Wallace, University of California-Berkeley; and Andrew White, JDM Associates, will discuss an upcoming training course for commercial appraisers and efforts to engage the lending community on appraisals for high-performing buildings. Sign up now to attend the free webinar, “Energy in Commercial Appraisals and Mortgages: Risk or Reward?” on September 28. Space is limited, so don’t wait. Register today!